Following the 2012 Mac mini release in the fall of 2012, there were occasional reports of poor image stability or quality when connecting the HDMI output directly to the HDMI port on an HDTV. The usual complaint was flickering or poor image quality. The Apple EFI firmware update for the late 2012 Mac mini corrects a problem with using the Mac mini's HDMI output. This upgrade is only for the late 2012 Mac mini. If you have any other Mac model, mini or otherwise, it can't be installed. If you try to install the upgrade, you'll receive an error message. The problem seemed to be caused by the Intel HD Graphics 4000 chip that drives the HDMI port. After Intel produced an update to the graphics in the form of a new driver, Apple released the update. When the HDMI port was used with a DVI adapter, the issues tended to go away. Among those who used the Thunderbolt port to drive a display, no image issues were ever reported. This update to the EFI firmware corrects the HDMI video issues and is available for download directly from Apple's support website. 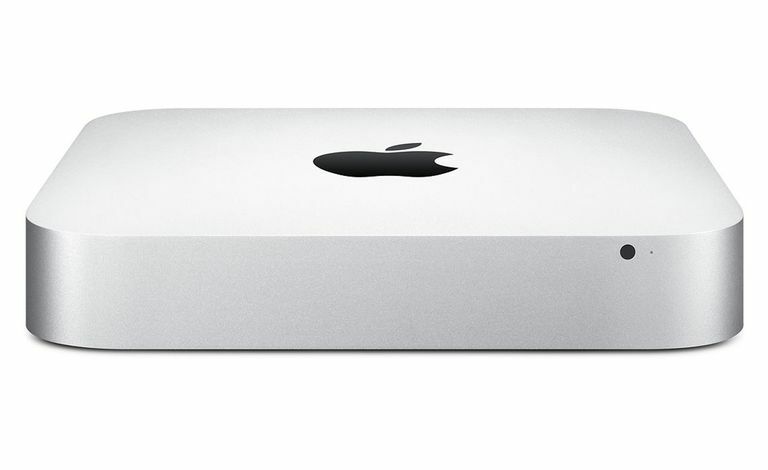 This update is a must for those with the 2012 model of the Mac mini. Even if you're not using the Mac with an HDTV or are using an alternate video port such as the Thunderbolt port, this update corrects several other video-related issues. Before you perform the upgrade, connect the computer's power cord to the computer and plug it into a working power source. Leave the Mac mini plugged in during the entire process. Go to the Apple support website and select Download under the Mac mini EFI Firmware Update 1.7. Go to the Downloads folder and double-click MacminiEFIUpdate.dmg to mount the disk image on the desktop. On the desktop, double-click the Mac mini EFI Updater icon. Double-click the MacminiEFIUpdate.pkg file to open the installation window and start the installation process. The Mac mini restarts and displays a status bar that indicates the progress of the upgrade. It may take a while; don't interrupt the process. The Mac may reboot a second time. When the upgrade is complete, the Mac finishes the startup process and displays the desktop or login screen, depending on how you have it configured.